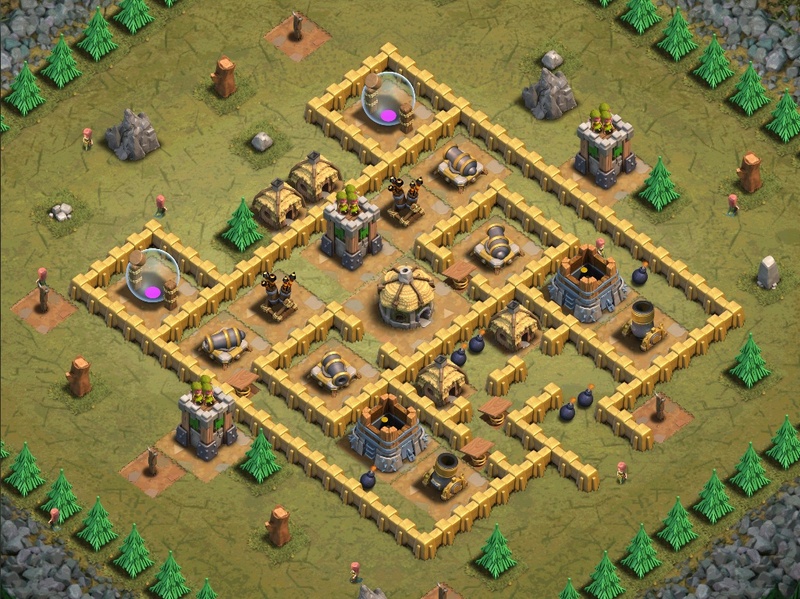 Destroy the 2 Archer Towers on the sides, then the archer tower and the Air Defense in the middle. Finally deploy your Balloons. 1. Deploy 15 Archers per archer tower to destroy it, add some more if they fail. 2. Deploy the rest of the Archers at the top and wait until the Archer Tower and air defenses are destroyed. Or use 2 Dragons, 5 Balloons and a Rage Spell to clear the Air Defenses. At the same time, use 3 Balloons or Minions (more is needed) to take care of the Archer Towers.